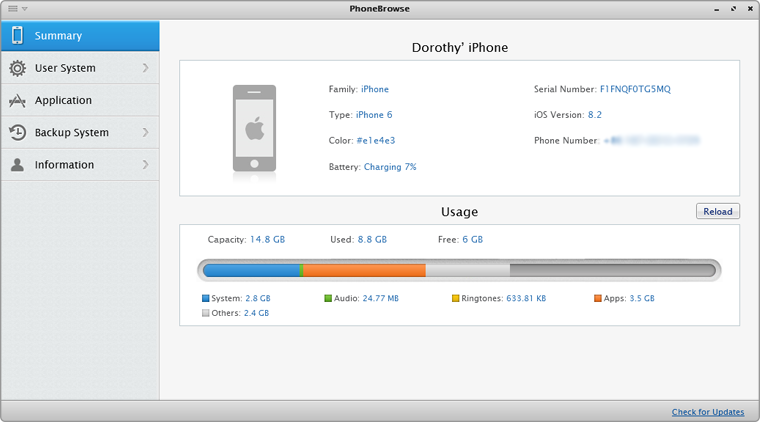 PhoneBrowse enables user to browse backup system with easy way. 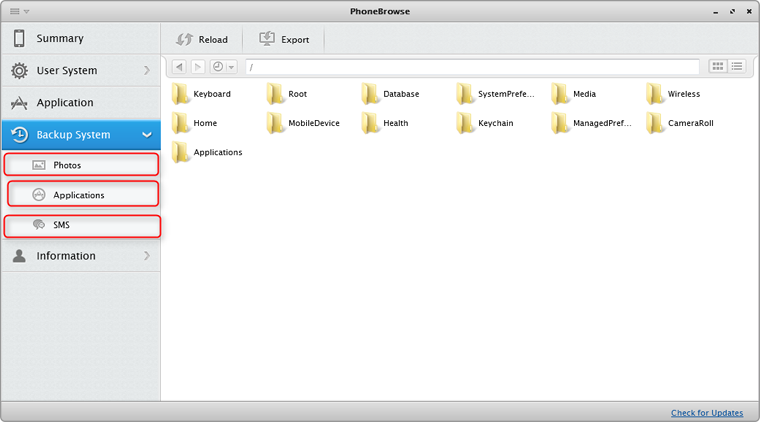 Step 1: Open PhoneBrowse after connecting your device to computer, and then you will see the basics of device. Step 2: Click Backup System and choose one of files. Next, you will enter into the Backup system management. 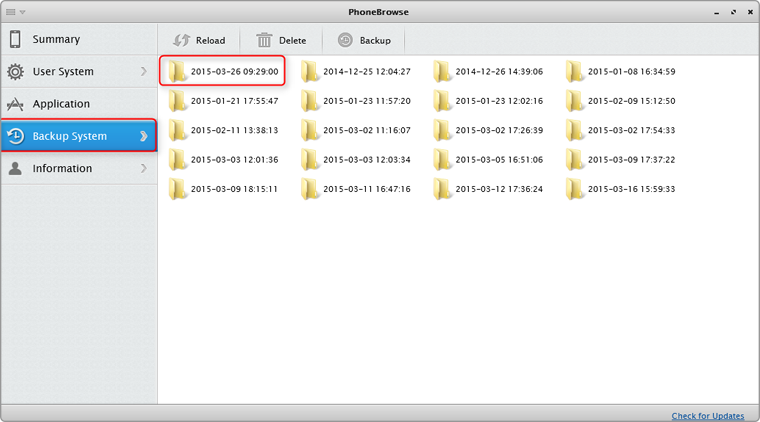 Step 3: You can manage your Photos, Applications, SMS under Backup System.